How do you quantify if a certain antivirus is worth your money? So many brands are creating antivirus software and telling the users that it will protect them from anything, and that nothing wrong should be happening to their computers. But which antivirus should you choose? New viruses and malware are coming up every day, making your valuable data more & more insecure. Most threats infiltrate the user devices through the internet and a good internet security tool is essential to stop that from happening. Bitdefender just updated its security solutions to the 2018 version and without a doubt, their products are worth every penny when it comes to superior protection and low system impact. 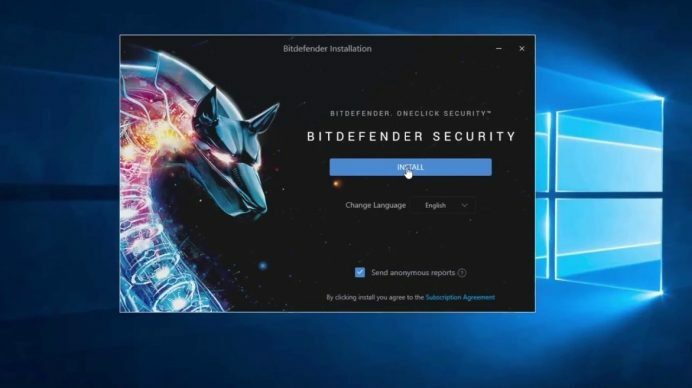 With one of the deepest arrays of protective features, Bitdefender’s 2018 Windows antivirus lineup sets the standard with ultrafast quick scans, minimal system performance overhead, and the ability to customize most aspects of your protection or let the program do it. Bitdefender Internet Security 2018 takes the usual antivirus protection a notch further with added multi-layer ransomware protection, so you never have to worry about paying up some thugs who’d take over your computer. The latest feature in the 2018 version of Bitdefender Internet Security is the new webcam protection function, which restricts any unauthorized access to the user’s webcam. Bitdefender Internet Security 2018 uses behavioral threat detection to prevent infections against ransomware attacks. How do you make an already good product better? Learn from Bitdefender. The 2017 version of its internet security protection was good enough already but they again brushed it up to be better, with added protection and even less performance impact on the system. This protection starts with a file-scanning engine that looks for matches to known exploits. There’s also an extensive monitoring watchdog like program running in the background that watches for signs that an attack is underway. What we love the most about Bitdefender Internet Security 2018 is its simple user interface, which is minimalist yet functional. The UI provides all the important functions at a glance yet abstains from being too much for the eye. Like its UI, Bitdefender Internet Security 2018 isn’t intrusive for the user either, there are no constant pop-ups or task that need constant monitoring. The virus-protection software will never get in your way no matter what you are up to. Bitdefender’s Autopilot feature automatically adjusts the software’s defensive posture based on the current computer’s conditions, such as how many system resources other processes are using. The central console provides good control over the software, but similar to last year’s version, the parental controls aren’t very detailed in this newer version either. A new, welcomed feature is Safe Files, where the user can restrict access to certain files. What we miss in this nearly top-notch protection service, is the lack of an offline installer. Apart from a few nit-picked flaws, everything else is right up there, and once installed, you need to worry about nothing.